Experience of supporting Microsoft Windows server platforms with IIS 75 85 and Net. Good Understanding of Agile deliveries using Kanban or Scrum. Comprehensive network skills with a thorough understanding of TCP/ IP Name resolution technologies. Minimum 5 years experience of systems administration in RHEL 5, 6. Minimum 2 years experience of Web Application/ Service monitoring. Minimum 3 years experience of Apache Web Server technologies, Tomcat, IIS, JBoss. Minimum 3 years experience of supporting Java EE platforms JBoss, Tomcat, Vertx, Spring Boot. e: Knowledge of Web Application Firewall technologies – F5 ASM, Layer7 SWSG, API Portal. Automate test cases to meet user requirements within the parameters of the application. Provide knowledge transfer and guidance for the rest of the team on testing strategy and automation testing. At least 3+ years of Automation testing experience and 5+ years of overall experience. Expertise on Selenium & Cucumber tools for Automation Testing of complex enterprise applications. The expert on the concept of BDD/TDD. Working experience in writing BDD Feature files. Writing Test Scenarios and Cases as per high-class Industry Standard. Develop a Testing Strategy for application and releases. Strong hands-on experience in Automation Testing. Knowledge on Test Data Management and related toolsets. Working experience on developing Test Data. Very strong experience of working in Agile Team. We have an urgent opportunity for an Automation Test Engineer with one of our Client in Investment Banking domain in Kharadi. We are looking for people who can join in 30 days or less. Sound knowledge of various commands in Unix/Linux environment. Mainframe Testing is an Added advantage. Candidate should be comfortable to work in client location. Looking only for Immediate to 30 days joiners. Must be comfortable for a F2F interview. Proficient in C#/ASP.Net, with mandatory hands-on expertise on Angular Framework(Angular JS or Angular 2 or above). Candidate should have good hands-on working on MVC, Web API. Hands-on expertise with extensive C#, ASP.Net, Web API, MVC, Entity Framework, JQuery, Angular 2 & above. Experience in SQL programming (MS SQL2008 or higher). We have an opportunity for Automation Test Engineers – SDET. 4+ years coding experience in JAVA, strong development background on large projects on collaborative teams. Proven coding skills in Java on Unix/Linux platforms. Experience with experience with XML, XSD, WSDL, and SOAP and a history working with web client software. Experience writing or enhancing test harness/framework is desired. 6th & 7th Floor, Tower 3, Aquamarine, Block B, Bagmane World Technology Centre SeZ, Kr Puram, Marathalli Ring Road, KR Puram, Hobli, Bangalore. Looking only for Immediate to 15 days joiners only. Core Java, Spring, Struts, Hibernate, JSP. SOAP is Mandatory with any database experience. Must have good experience in Java, J2EE, Spring, Struts, Hibernate, JSP, SOAP and related technologies. Good to have working experience with SOAP. Should have the ability to independently analyze requirements, design, code and test system change requests/ enhancements. Responsible for call/data quality monitoring. Provide feedback to agents using the prescribed feedback model. Mentoring and coaching agents on process level issues. Monitor adherence to compliance procedures and processes. Responsible for reporting program level quality score to the process owners. Should have worked as a QA for a minimum of 2 years. International BPO quality experience mandatory. Candidates with US healthcare experience will be preferred. Should be available to join in a month. Core Java & J2EE skills (basics of any J2EE framework developing enterprise application using, JSP, Servlet, MVC, EJB, JMS are optional just to make sure they can be trained or made to equip for other technical skills easily). 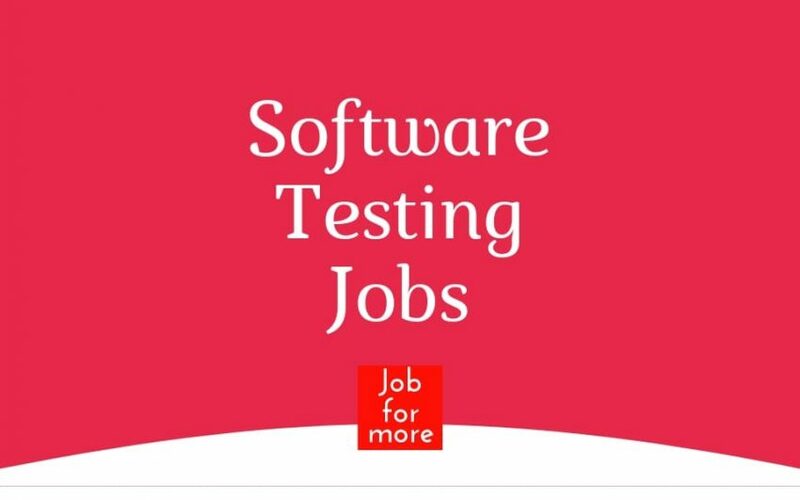 As a technical member of the Platform Test Engineering team, you will work as part of the team responsible for software validation, testing, and automation of Interconnect / NIC and Platform software and Firmware. Must have a strong background in HW features and Linux Operating systems Internals and X86 based platform device drivers. Good experience in software validation/ testing in the areas of Hardware and storage controller specific device driver (USB, I2C etc), boot configurations, Network configurations, memory error injection , system level Diagnostics, Bus interface tests for I/ O devices, Memory(NVRAM, NVMEM and Flash etc), PCI/ PCI- Express Interface , power cycle tests and environmental compliance tests. Must have hands-on knowledge in Firmware and microcontrollers specific testing. Typically requires a minimum of 5 years of related experience with a Bachelors degree; or 3 years and a Masters degree; or a PhD without experience; or equivalent work experience. – Work collaboratively within a team of other engineers and have strong influencing and leadership skills. REST API, Websocket, Kafka or Flink, Aware of secure coding. As a member of our team, you will use the latest technologies, including JDeveloper, ADF, Oracle 12c Database, Oracle SQL, BPEL, Oracle Text, BC4J, web-services, and service-oriented architectures (SOA). In addition to gaining this technical experience, you will also be exposed to the business side of the industry. 4+ years of experience in building Java-based Applications. Good programming skills, good analytical skills. Able to design a feature from end to end. Hands on experience in Java, J2EE, Spring Boot, Angular, Oracle. Need to have Real-time Project experience and preferably worked in enterprise-class applications. Knowledge in Jira and ELK Stack and DevOps Cycle and Tools. Need to have experience in moving the application from On-Premise to Cloud, AWS. Need to have Cassandra, Postgres and RedisGood knowledge in React JS. Hands on experience on JAVA/JPA/Hibernate/web logic/flex4. Should have an understanding of ITIL framework. Design, build and execute automated tests to validate applications using UFT 12.5 Identify regression testing needs, and create and maintain an Automated Regression Suite. Candidates should be flexible/willing to work across this delivery landscape. Should have min 5+ years of automation hands-on experience in QTP/UFT. Must be able to perform as an individual contributor. Should have 8+ years of JavaTest Development. Experience in TDD/BDD, Cinnamon/Cucumber frameworks. Java development skill, Eclipse IDE, Spring, Junit. Web services testing, SOAP UI Pro, APIs (REST/SOAP). Your key role would be to develop ERP Applications and Software Products using open source technologies and frameworks. You would be involved in the complete system development life cycle. An exciting opportunity to automate system processes and develop software products. BTech/BE from a reputed university with a strong foundation in C, C++ and database design. 1-2 years of development experience in PHP-MYSQL, MVC Framework. Must be passionate to develop applications in PHP/MY SQL. Must be hardworking and quick learner.